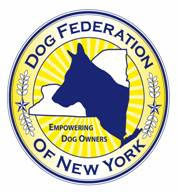 New York, NY: The Dog Federation of New York (DFNY) is calling on dog owners throughout New York State to reject Suffolk County Legislator Jon Cooper’s plans to work with animal rights extremists to prohibit the sale of dogs by local retailers, violate the privacy of residential hobby breeders, and endanger well-managed small businesses providing pets to Suffolk County families. Cooper cites concerns regarding the number of animals euthanized in shelters across the country as motivation for his proposed local law. According to comments published in the North Shore Sun, Cooper accuses every pet store in Suffolk County of obtaining dogs from abusive, illegally operated “puppymills.” The term “puppymill” is an emotionally-charged and prejudicial characterization used by animal extremists who oppose pet and animal ownership of any sort. Illegal and cruel conditions are implicit in the usage. Mr. Cooper’s “proof” that the dogs offered for sale by small business owners in Suffolk County are the victims of cruelty hinges on the location of their birth. If the dog was born in Missouri, Mr. Cooper reasons that the dog is the product of abuse. If the dog was born in Suffolk County, it is not. Dogs identified in the press as “puppymill dogs” are routinely imported into New York from distant locations and offered for sale to the public in large numbers by many shelters and animal rescues, including several in Suffolk County. The conditions of care provided to such animals are generally not subject to inspection by New York State or the USDA, and the interstate transport of such dogs is largely unregulated. Pet lovers were recently horrified to read of the deaths due to suffocation of dogs being transported from Georgia to New York for an event sponsored by Best Friends Pet Care of White Plains. By contrast, pet stores licensed in New York State are inspected at least once a year for compliance with comprehensive standards of care, as are USDA-licensed dog breeders. "We are deeply concerned about Leg. Cooper’s motives and his grasp of the facts. His association with extremist groups such as the Animal Legal Defense Fund is troubling," stated DFNY spokesperson Mahlon Goer. The best information available indicates that dogs from pet stores rarely contribute to shelter populations. A study conducted by the National Council on Pet Population Study and Policy indicates that only 3.9% of dogs in shelters come from pet stores. “Sadly, Leg. Cooper is choosing to exploit the complex and difficult issue of shelter euthanasia to grab headlines and gain political support by using inflammatory statements and false, misleading information”. Ms. Goer further stated, “It is important that we further the goals of animal welfare with laws based on facts. Leg. Cooper consistently has used misinformation as a calculated means to heighten public fears and misunderstanding, along with employing provocative language and negative stereotypes."